This paper provides a background of the theory that includes the objectives, concepts, assumptions and the relevance in metaparadigms of nursing. Equally, the theory is based on clarity, consistency in the usage of concepts and application in the nursing domain. Further, the usage of reproductive reasoning in the development of theory is also discussed. 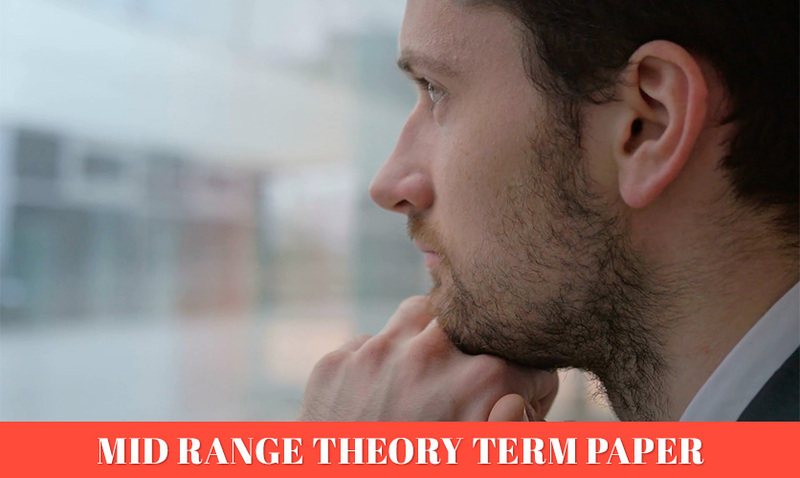 A mid-range theory deals with a particular health situation using a few variables to describe the matter in question. In other words, the middle range theory describes a specific clinical condition and has clear relationships with nursing practice. As a result, middle range theories have been developed from the experience of nurses. The theories are more specific compared to grand theories that are more general and address larger issues. There are numerous variables in the theory that are not operationalized. These theories develop from a more general view. The paper discusses the middle range theory developed by Jaarsma, Riegel and Strömberg. Jaarsma, Riegel and Strömberg (2012), developed the self-care of chronic illness middle range theory. The theory acknowledges that self-care is important for management of chronic diseases. However, there exists a gap in the development of middle-range theories with reference to chronic disease, hence, the need for the theory. The authors preempt that the theory is important for both the nursing practice and research. Thus, the theory attempts to address the importance of self-care in the management of chronic illness, which in stepwise approach is explained as self-care maintenance, self-care monitoring and self-care management. The developers of the theory are Tiny Jaarsma, Barbara Riegel and Anna Strömberg. Jaarsma is a passionate researcher from the Netherlands with an aim of improving nursing care in cardiac health issues. The author’s main research lines are about improving the health of cardiac patient and prognosis of heart failure in patients. The author’s current research is on technological use of cardiac patients and the use of Wii computer game in patients with heart failure (Linköpings Universitet, 2014). On the other hand, Riegel is a professor of nursing and director of Biobehavioral Research Center from the US. Riegel has done numerous researches on heart failure and is currently researching on heart failure in older patients. The author teaches Evolving Nursing Sciences (Penn Nursing Science, 2014). Anna Strömberg is a registered nurse from the United States with research interests in cardiovascular nursing. Strömberg is a Full Professor and is currently working on heart failure and the effects of nutrition and cognitive ability on heart failure in elderly patients (Linköpings Universitet, 2014). The three authors are practicing nurses, academicians and researchers on heart failure, cardiovascular nursing and the use of computer games in the treatment of heart failure. Thus, their backgrounds provide sufficient experience for the development of self-care of chronic illness middle range theory. Development of the theory finds its foundation in the Situation Specific Theory that had been developed by Riegel and Dicksion in the year 2008. Based on the fact that the theory is more specific compared to the middle range theories, it was necessary for the authors to use the theory in their explanation of smaller aspects of their phenomenon of discussion. This it presented the authors with easily operationalized theoretical bases which are able to closely link practice and research (LoBiondo-Wood & Haber, 2014). The theory proposes that the identification of early signs of the disease is important for self-practice. It also holds that self-care is fruitful in the instance where the patient is well informed about the health situation and that there is a balance between self-care and health outcomes. In reviewing the theory, Audulv (2013), argues that it makes a positive step by describing the application and self-management of behaviors in the course of time for chronic patients. The explorations of the theory are unique since they have not been described in other qualitative studies. Middle range theory of self-care of chronic illness is developed through retroductive reasoning. The application of reproductive reasoning requires identification of a situation and attachment of variables that are likely to lead to that condition. Development of the theory starts by the identification of a theoretical framework that introduces the theory used by the authors. The theory also borrows from other scientific works that justify integration of parameters of the theory. It gives the following proportions in its body: chronic illnesses have core similarities; experience improves the quality of self-care received; self-care only succeeds if it is reflective, and as a result, it is learned. Other proportions include inadequate knowledge result in poor self-care since information is required for self-care monitoring; Self-care maintenance precedes self-care management since more knowledge is required for the latter and finally self-care under evidence-based program is more successful. As a result, the theory proposes that self-care maintenance initiates self-care monitoring that in turn initiate self-care management Riegel, Jaarsma & Strömberg 2012). Self-care is introduced as the ability to maintain health via habits that manage health for both well and unwell bodies. It involves all lifestyle habits about food and protection against diseases. However, the need for self-care becomes permanent once a person is diagnosed with a certain chronic disease. It is more systematic for patients with chronic diseases. Self-care, therefore, makes patients engage themselves with the management of the disease. The theory introduces three key operational components namely: a self-care maintenance, self-care monitoring and self-care management (Riegel, Jaarsma & Strömberg, 2012). Self-care maintenance entails behaviors practiced to improve health or maintain physical and psychological well being of person. In chronic diseases, the practices involved in self-care maintenance are often recommended by the health provider. There are always positive results if the patient observes the requirement of self-care maintenance. On the other hand, self-monitoring is a set of procedures that ensure the body is in good shape. Self-care monitoring in chronic diseases ensures that the patient is assigned appropriate medication when a sign is present. Nevertheless, even without the presence of a medical professional, the results of physical and emotional monitoring should be met with the appropriate response. Finally, the theory introduces self-care management that is an evaluation of the results of physical and emotions signs of the body. The process initiates the necessary response from an individual, which is a function of medical comprehension of the situation. Further, it justifies if a particular response should be used again in the future (Riegel, Jaarsma & Strömberg, 2012). The definitions provide explicit information for operation of the theory. For each concept, a theoretical description of the term in the theory is stated, and subsequently, the implied meaning with respect to chronic self-care is also attached in the theory. The implied meaning is case specific (chronic diseases) in the theory. This results in the flow of events in the cycle of self-cares hence the consequential relationship between the variables. The theory is consistent since it outlines the flow of events in the cycle and identifies areas that make the operationalized variables difficult to apply. These include decision making and reflection which are required for every self-care situation. Decisions are the resulting options to be taken while reflection is the exposure to the knowledge necessary for handling a particulate state. The theory is built on three assumptions. Firstly, the specific inclination of the theory is towards illness self-care due to the existence of general self-care mechanisms that are often subjective in nature and based on age, gender or culture. General self-care has the limited relationship with illness self-care. Secondly, the ability to reflect and think requires a working memory. The patient should have the ability to weigh and use information appropriately. Finally, patients face a state of confusion when dealing with chronic illness with multiple conditions. The situation arises when the patients access various materials that generate lots of confusion for the patients (Riegel, Jaarsma & Strömberg 2012). The metaparadigms of nursing include patients, nurses, health and environment. The theory identifies patients with chronic illnesses that include heart diseases, cancer, diabetes, arthritis and so forth. The patient here suffers from a condition that requires consistent health evaluation, hence, the term self-care. As it is, the patient is always at some risk and requires vigilance towards health. The health paradigm is discussed in terms of chronic illness as identified above. However, within the theory particular in self-monitoring, the patient ensures that health parameters stay within the expected normal levels. Some of these parameters include weight, sugar levels and emotional or existence of pain. Environment as a paradigm includes the interplay of all the factors for improvement of the life of the patient. It includes the health solutions available for the patients, the stage of health condition and existence of advice from the medical professional. However, the success of this environment is pegged on the patients’ ability to reflect and make appropriate decisions based on information available to them. The role of the nurse (that is intentionally discussed after the environment paradigm) is limited in self-care. It is effective at the first stage of the theory where self-monitoring is introduced. As noted by the authors of the theory, information is important for the success of self-care and existence of chronic illness initiates express conditional instructions from health personnel. That is, nurses are expected to advise patients suffering from chronic diseases on the dos and don’ts associate with their ailments. From a qualitative point of view, the theory provides sufficient justification in its plot and flow of events. The flow of activities in the three stages of self-care and their interrelationships suffices this purpose. This includes the conditions that have to be fulfilled to make the theory effective in application. On top of that, the stages of self-care are dependent such that failure in one may lead to failure in the next stage. However, there are crucial assumptions based on making decisions and availability of information. Decision making is subjective. It is, thus, difficult to apply the theory when the role health professionals are not clearly defined. In application, the theory acknowledges the need for self-care in chronic diseases and justifies the need for appropriate action based on information available to the patient. Critically, how does the patient determine the right time or condition to act. Equally, the theory accepts the probability of confusion due to the accessibility of various advise such confusion may threaten the lives of the chronic patient under self-care. The theory pegs success of self-care on information and the ability to reflect and make decisions based on it. Therefore, in nursing practice, for a case of a cardiac patient, it is necessary to provide information about all possible case scenarios to be watched and/or expected under self-care. Patients practicing self-care must have access to any information about the heart condition. As a cardiology nurse, it is important to research further on the quantitative parameters that patients should observe. The patients should have the ability to act early in order to be always safe. Quantitative parameters are more objective, hence, a person learns to act when the sugar level or pulse are within the stated range. 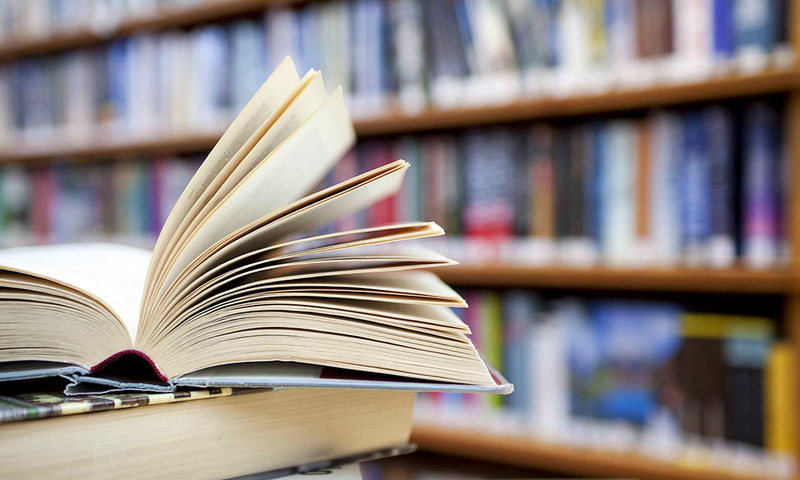 Understanding scientific information is a daunting task for non-health professionals. Thus, it is important to repackage any information about chronic cardiac condition including the relevance of their use for self-care usage. The information should be simple, easily understandable and have no ambiguity. Monitoring patients in self-care require the results of self-care management. Therefore, it is important to keep records of the progress made by the patient throughout the program. At the initial stages, any associated medication that may jeopardize the health of the patient should be recorded and followed closely. With time the patients gain experience about the chronic heart condition by applying the correct medication. Audulv, Å. (2013). The overtime development of chronic illness self-management patterns: A longitudinal qualitative study. BMC public health, 13(1), 452 – 457. Linköpings Universitet. (2014). Anna Strömberg. Linköpings Universitet. (2014). Tiny Jaarsma. LoBiondo, G., & Haber, J. (2014). Nursing research: Methods and critical appraisal for evidence-based practice. St. Louis, Missouri: Elsevier. Penn Nursing Science. (2014). Barbara J Riegel, DNSc, RN, FAAN, FAHA. Riegel, B., Jaarsma, T., & Strömberg, A. (2012). A middle-range theory of self-care of chronic illness. Advances in Nursing Science, 35(3), 194-204.